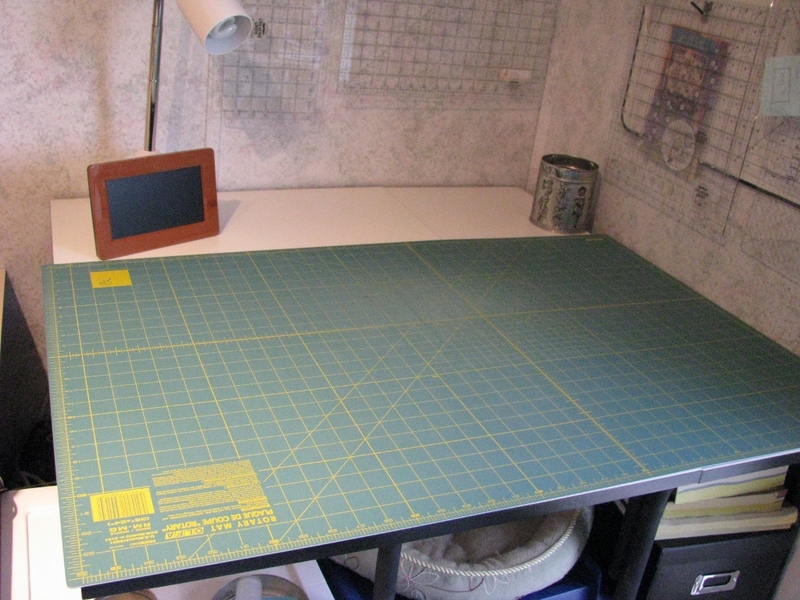 There are two projects on my design wall at the moment. 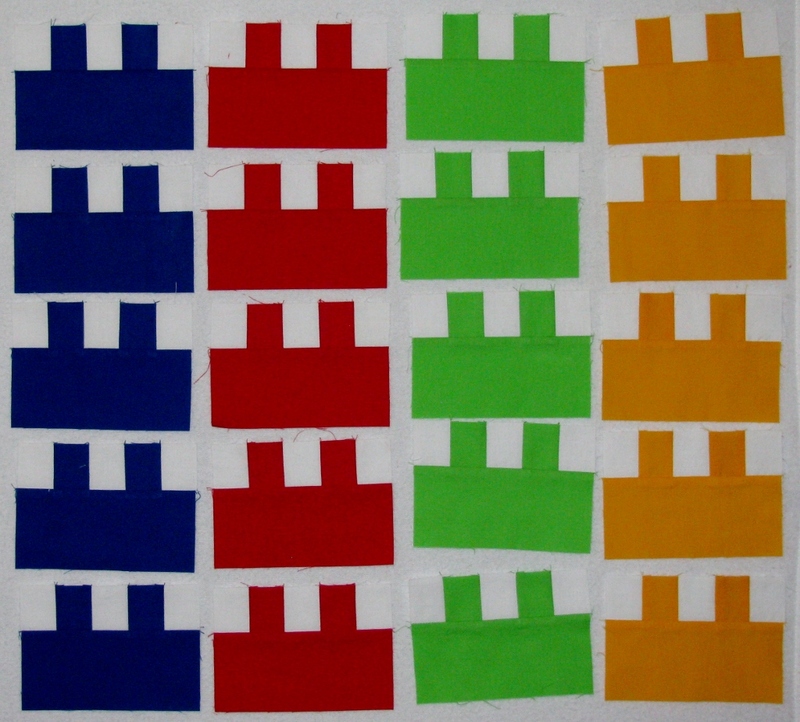 My main project is Blockhead Baby Quilt. 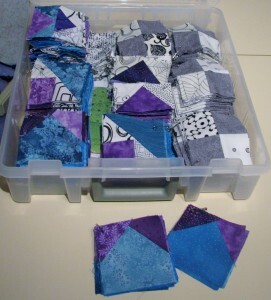 Here are the building blocks for the quilt. 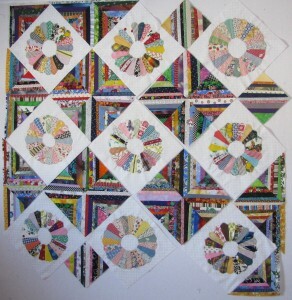 My plan is to have the top finished by Friday and quilt & bind it this weekend. 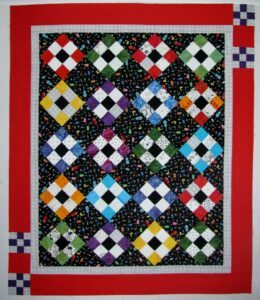 The pattern is easy and I like how the finished quilt looks, but I am moving slow because this is the third one this year. It is a Christmas gift, so I need to get busy. The second project on my design wall is Bonnie Hunter’s pattern Sisters Nine Patch from her book Adventures with Leaders & Enders. 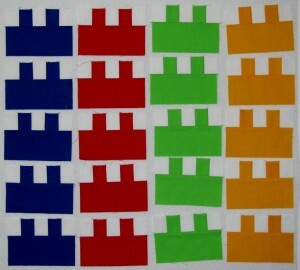 I started making the green and cream 9 patch blocks several years ago, but I didn’t have a background fabric that I liked. 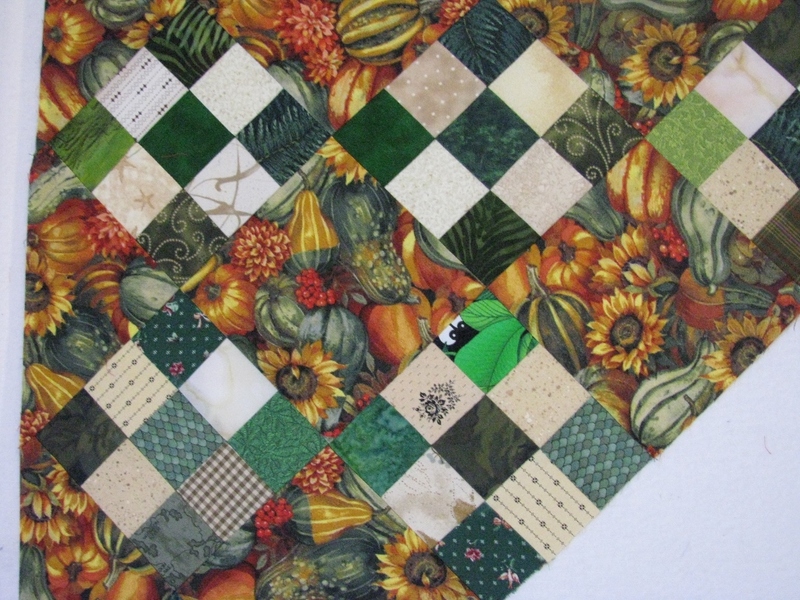 Jo-Ann’s to the rescue as they had their autumn fabric at 60% off. I enjoy the surprise of the gourds in the fabric. 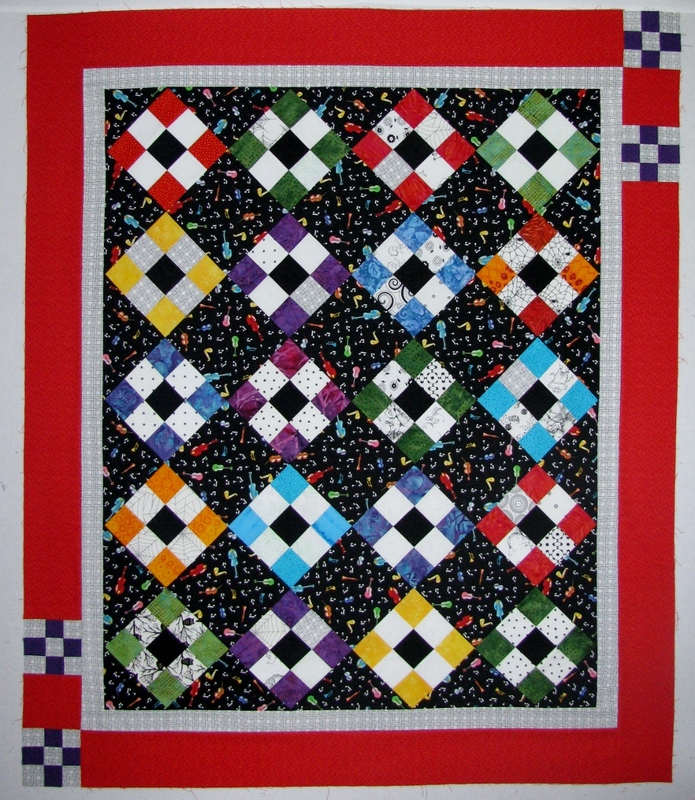 Check out all the quilt inspiration at Patchwork Times. Every day this week I have made two or three blocks for the Rainbow Star quilt top. I really like how this quilt is looking. 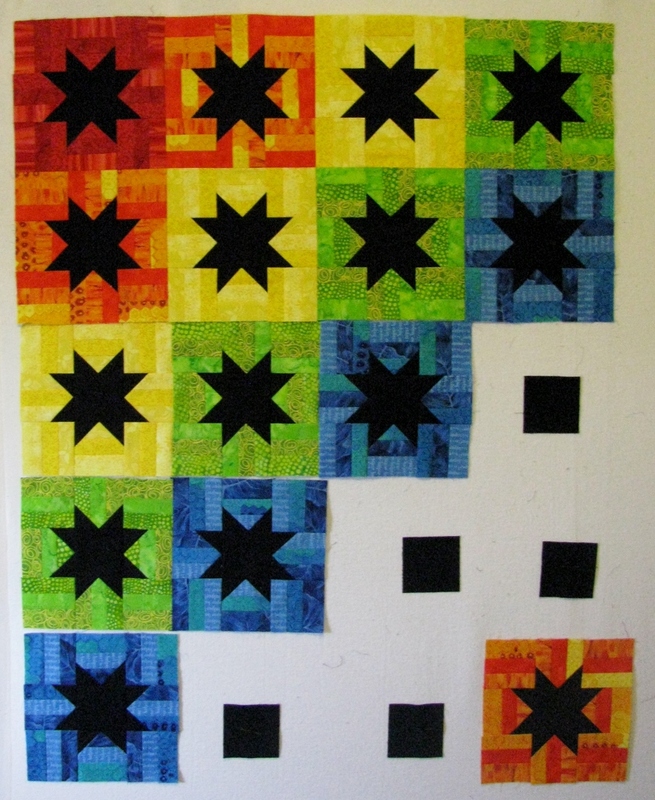 I also had a light bulb moment this week and realized what was bothering me about the layout – it was the three orange blocks all together in the upper left hand corner. 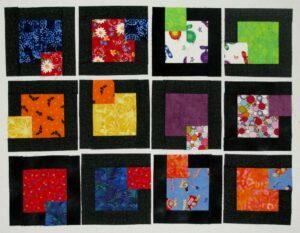 I replaced the orange block with a red block so that all the colors run diagonally across the quilt. Weekend plans include finishing this quilt – top, quilting and binding. 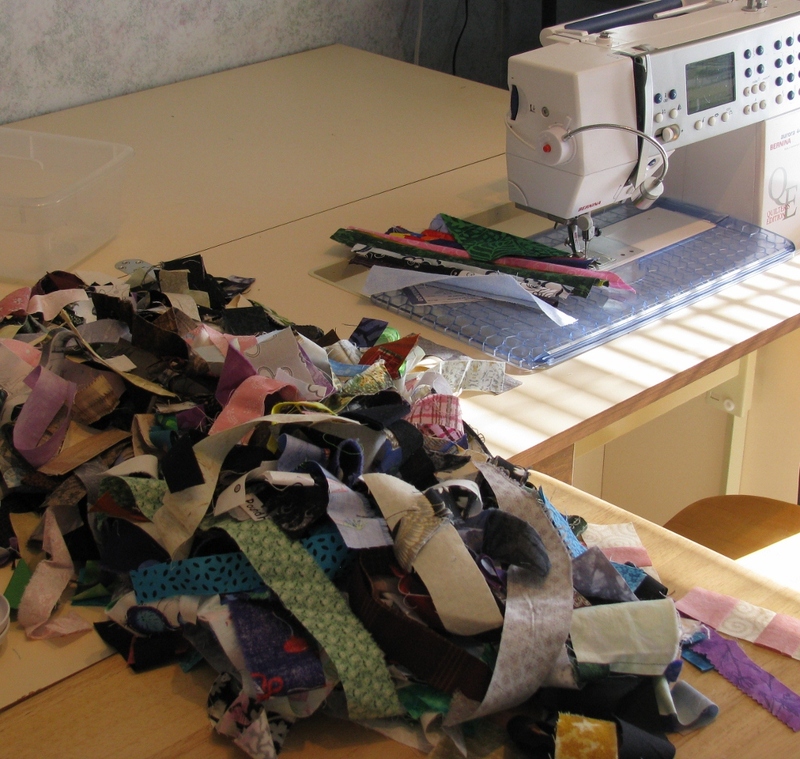 What are your weekend quilting plans?